If your future includes a move, check out Hermosa Beach movers from Meathead Movers! Our professionally-trained student-athlete movers, moving concierge, and Princess Packers are prepared to get you safely moved into your new Hermosa Beach home. If you’re considering moving to Hermosa Beach for a new job or to enjoy the relaxing beach culture, you’ll want to check what our Hermosa Beach movers have to offer. When people think of an idyllic beach community, Hermosa Beach is usually the image that comes to mind, especially since Hermosa translates to beautiful. Located in the South Bay of Los Angeles County, the town features golden sands and deep blue ocean. With the Pacific Coast Highway running through town, Hermosa Beach has a population of under 20,000, making this beach community one of the most coveted places to live in the state. The beach is particularly well-suited for outdoor activities, and is popular for everything from volleyball and surfing to general sunbathing. A popular hiking trail here is the Greenbelt, which has been preserved as a rural country lane, perfect for walking or jogging. There are numerous other parks and recreational facilities, making it the ideal community for people who love to stay active. While anyone would be eager to live in Hermosa Beach, moving there can be an arduous task. There are many Hermosa Beach movers, but none can compare to Meathead Movers. We are an elite moving company and offer only the highest quality of moving services. Meathead Movers can organize any range of moving tasks, including packing, storage, and loading. We are equipped for both local and long distance moves and have completed moving jobs for both residential and commercial clients. There is no moving job too small or too big for Meathead Movers. However, the real reason to turn to Meathead Movers is for our distinctive proven record of success. By recruiting only the best and most respectable drug-free student athletes who go through a rigorous training process, Meathead ensures that you will receive only the best-quality services. On top of that, Meathead Movers is the only company with major HUSTLE—our employees jog while not carrying items to save you valuable time and money. 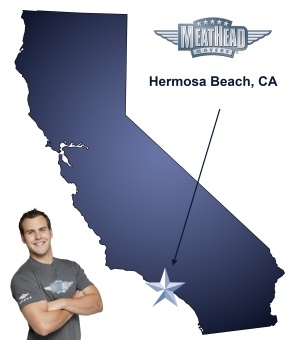 If you want the right Hermosa Beach movers, remember Meathead Movers. With a 100% satisfaction guarantee, you have nothing to lose! Give us a call today to learn more about what the Meathead Difference really means. Our staff can even give you a no-obligation, no-cost move quote. Moving to Hermosa Beach? Here are some helpful resources. “While the packers were very nice, they were extremely slow. We have a very small place with little to pack and they took over 4 hours to pack a very small kitchen, packing each item (plate by plate) with bubble wrap, which was unnecessary. This could have been done much more efficiently and with less packing materials and/or use of paper versus bubble wrap used for every item. View more Hermosa Beach resources. While the packers were very nice, they were extremely slow. We have a very small place with little to pack and they took over 4 hours to pack a very small kitchen, packing each item (plate by plate) with bubble wrap, which was unnecessary. This could have been done much more efficiently and with less packing materials and/or use of paper versus bubble wrap used for every item. Client was very unsatisfied with the service and left to finish packing on their own due to time management. I believe we have used Meathead 4 times now, and have recommended Meathead to numerous friends. The 3 previous moves were wonderful. This move was different. It was the exact flip of a move we made one year ago -- same furniture, same distance of travel, etc. However, it took twice as long and cost twice as much. Ease of getting a quote, even for my small move!